Side table? End table? Occassional table? Whatever you call it, I like a good, smalle table to sit next to a chair or couch. Who doesn't need a place to set a cold drink or a warm cup of coffee, a remote, and a great book? I replaced the glass with colorful wood in this trio of tables. There are so many more ideas. 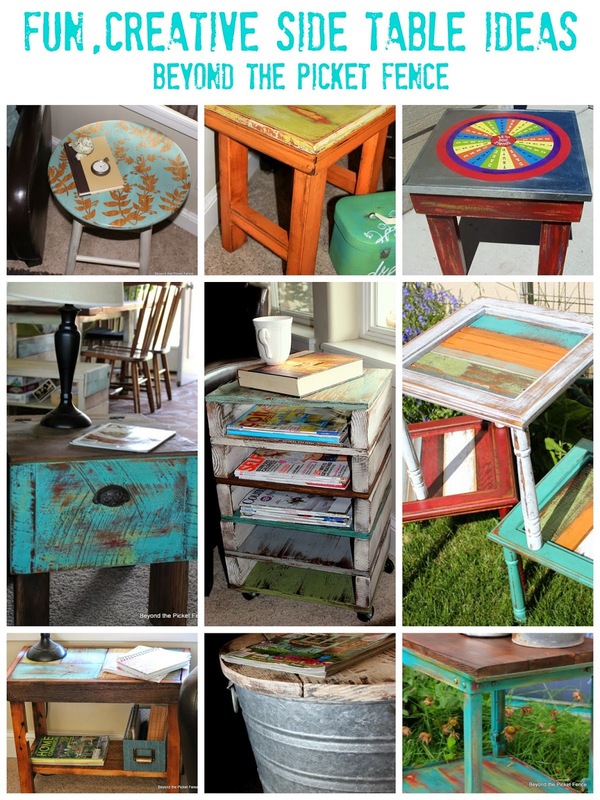 Find something sturdy, personalize it, and make a great little table that will become a favorite in your home. I love all your tables Becky! Pinned! Oh my GOSH... I'm with ya... these are amazing! 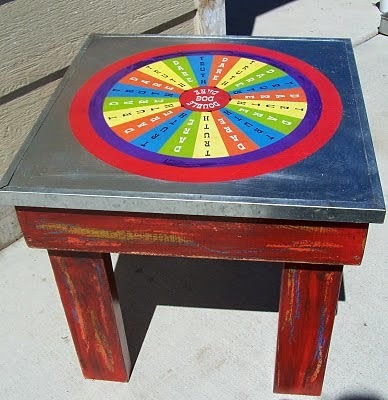 There is nothing like a unique side table. They're art too. :) Sharing! Super cute ideas! Thank you for sharing! These are awesome! Love them all, pinned! Pinned too, I love them all! I love your tables!! What is the best way you have found to attach the legs? Mine always seem a bit on the wobbly side. Cool collection! My favorite is the wash tub! I love them all! Great roundup!